There are several accounts of the vicious infighting between Pekinpah and the studio over the movie. 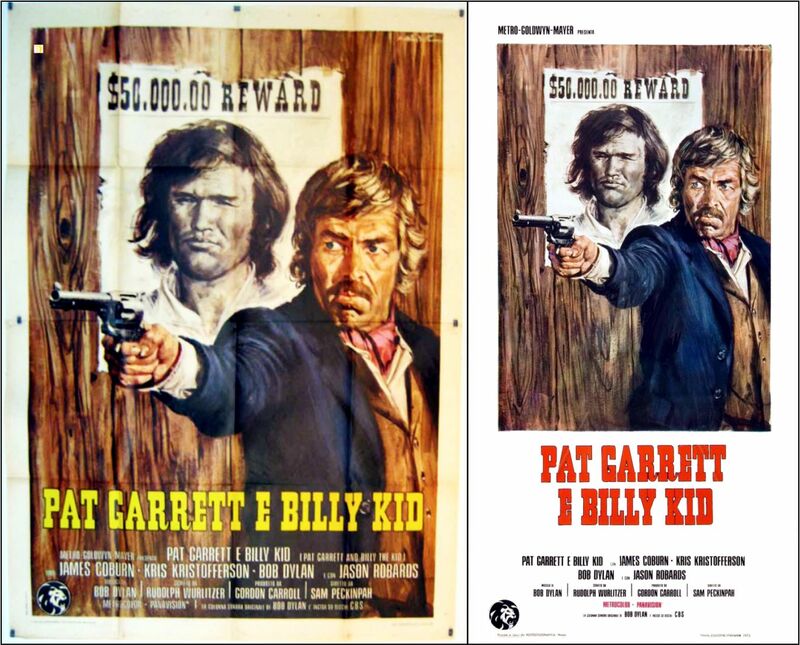 Wikipedia has an excellent report: http://en.wikipedia.org/wiki/Pat_Garrett_and_Billy_the_Kid. 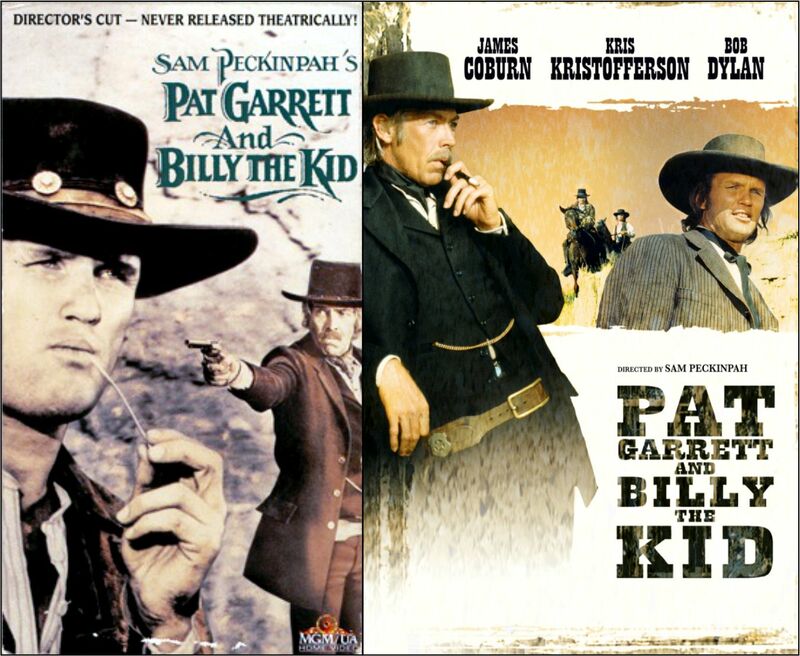 The Original Film release (1973); The Director’s Cut (1988); and a Warner Brothers Special Edition (2005). 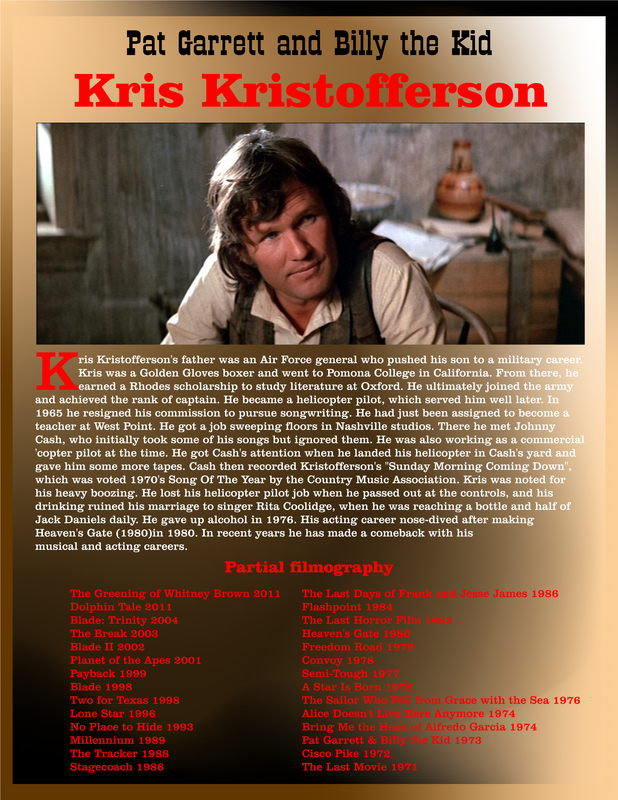 Kris Kristofferson: “One of the best descriptions I ever read of Sam, some guy said that ‘he looked like a man that was stalking an amimal much larger than himself’. My goodness ! Thank you. I really wish that were true. There surely are people out here who are experts on the ‘Kid’- even though there is much controvery surrounding this mysterious individual – many theories, rumors, conflicting evidence, myths and legends. 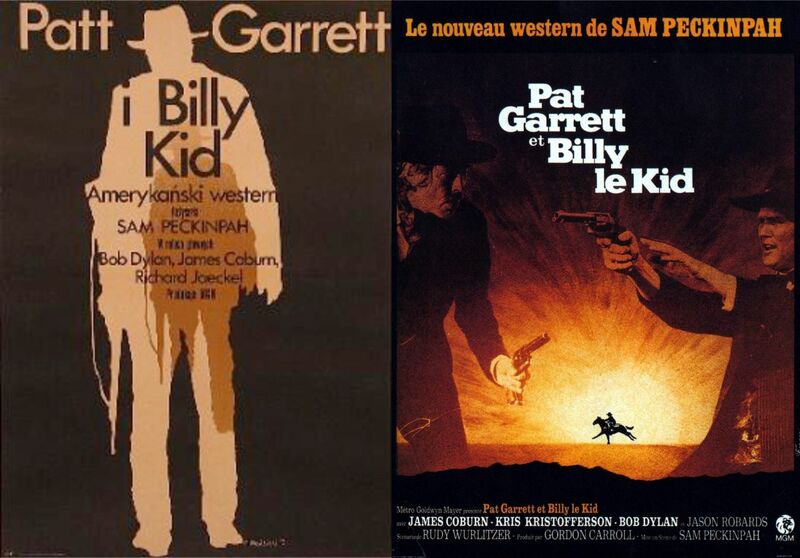 I am a mere fan of the movie by Sam Pekinpah – which was also surrounded by controvery – and now exists in 3 separate versions. The 2nd one – the attempt to restore the butchered first version to what Pekinpah really intended is the best (in my opinion). Avoid the original 1973 theatrical release which was edited (it is said) by as many as 6 different people. The 3rd version probably has the best film quality, but has also endured some questionable editing. Forgive my long-winded response. Enjoy ! I saw this on the big screen when it first came out. Being a lifelong Westerns fan and a big music fan, the combination of Bob Dylan (who also scored the movie) and Kristofferson, Plus the all-star Western character actor cast, this was a must-see for me. I wanted to like it so much because there were so many good things about it. In spite of some really good scenes, the movie was hard to follow and understand what was going on most of the time. 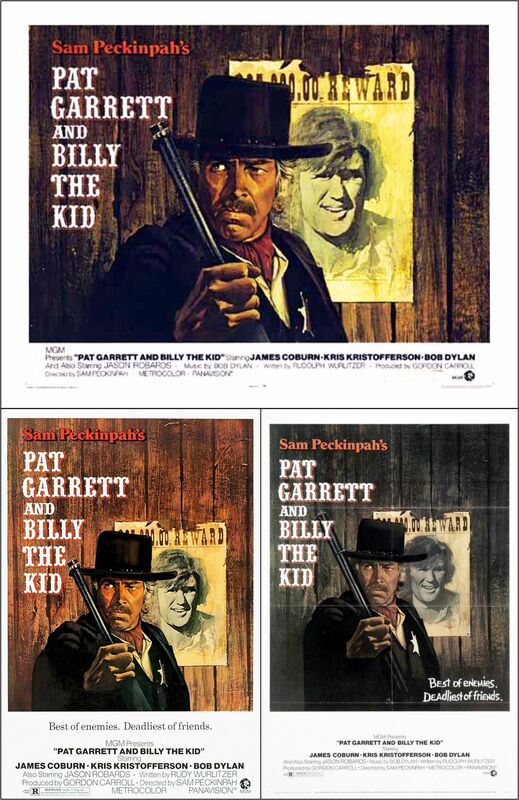 I later heard about how Peckinpah and the studio fought, and that the movie was taken from him and re-edited into the nearly incomprehensible version I saw at the theatre. I still had a soft spot for this movie, even with the flaws. 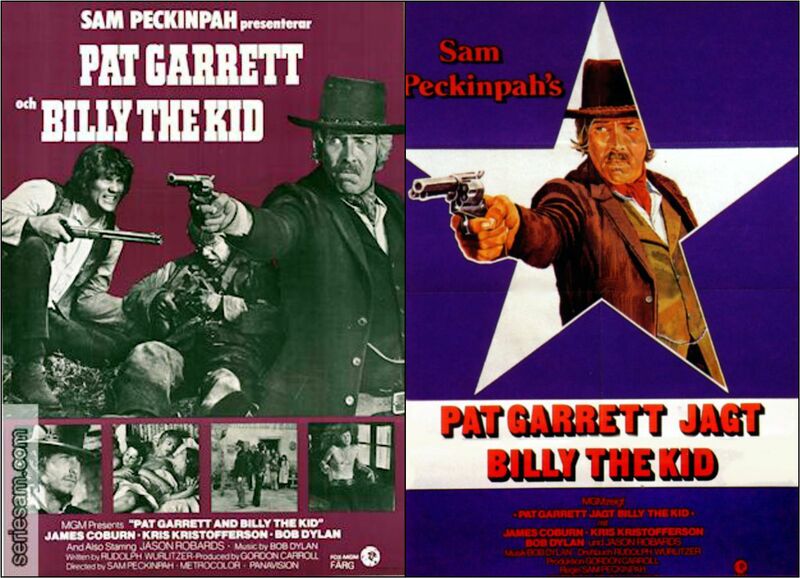 When the directors cut came out I was finally able to see Peckinpah’s original vision. That was when I realized this was another of Sam’s masterpieces, a modern classic. I agree with you that the director’s cut is the best version. If anyone out there has not seen this yet, don’t bother with the original release, go for the director’s cut. Coincidentally this was on TV yesterday. 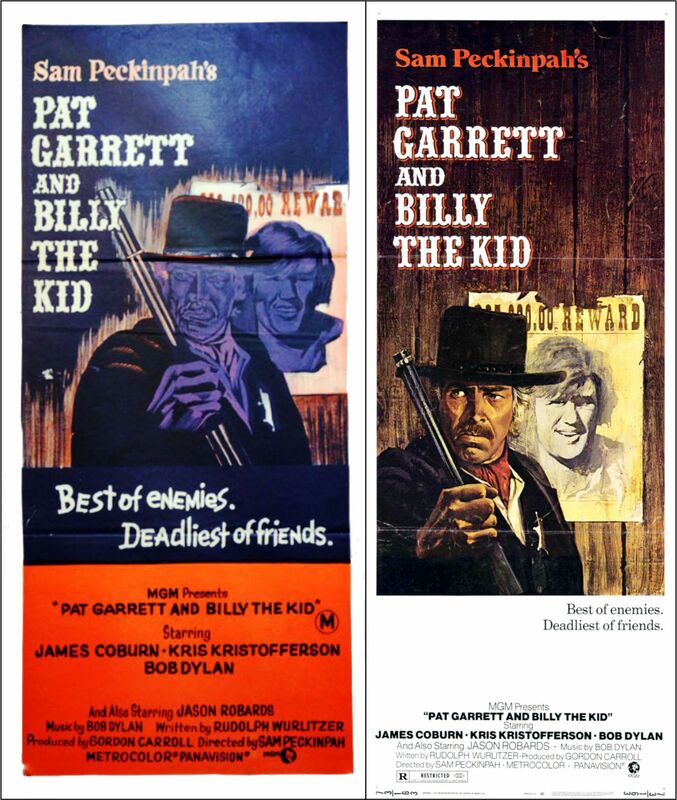 The uncut version – definitely an adult movie/Western. Definitely a Western Classic. Thanks again. Howdy Bill. How do you mean? 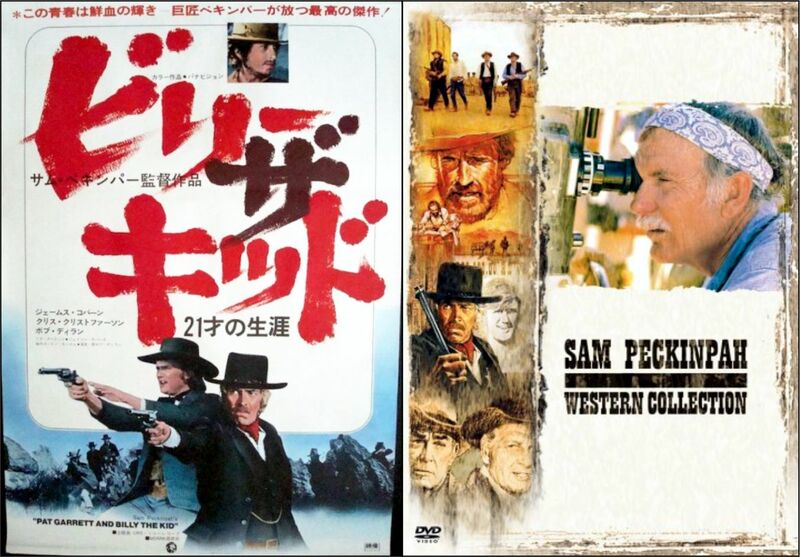 Sam was a master at making a great Western. That’s for sure.